The reason why we encourage our followers to buy albums and tracks, and participate in events is so that they will help these outstanding artists to produce more amazing music and keep this industry thriving. 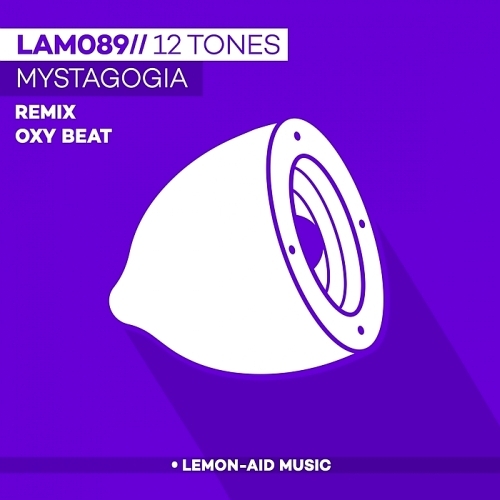 Lemon-Aid Music Catalogue Number LAM089 12 Tones Mystagogia EP. 12 Tones are Spiros & John and have been friends for many years in their hometown of Pirgos in Ancient Olympia land,Greece. After many years of DJing and producing solo,in the year of 2008 they decided to join their forces . The results have been amazing. Alongside the evolution of the music scene have led to the band being described as currently upcoming.Their sound has been called deep house/techno house characterized by groovy b-lines, live percussions and live vocals.